Germany’s biggest choral association spotted an opportunity to communicate their enthusiasm to a larger audience. State helped them create a brand-new, monthly magazine, from scratch. The German Choirs Association approached us early in their planning process with the seed of an idea. The monthly newsletter sent to its members was a valuable mix of reporting and advice for choir members across the country, but was unable to broaden the appeal of choral music to non-members. A commercially available magazine should try to do both. The challenge lay in the balance: attract new audiences without alienating hard-core choir members outside of urban conurbations. We held planning workshops with the editorial team and created a taxonomy of page templates to aid planning. 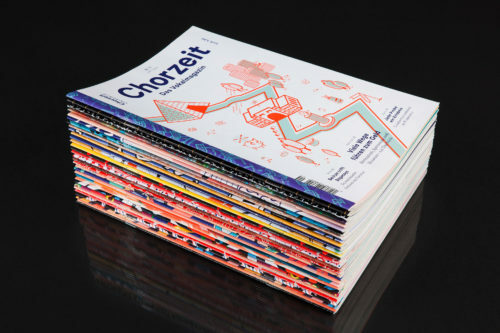 Once a structure was established, we art-directed and designed a lively, fun magazine intended to appeal to a broad range of age-groups and backgrounds. 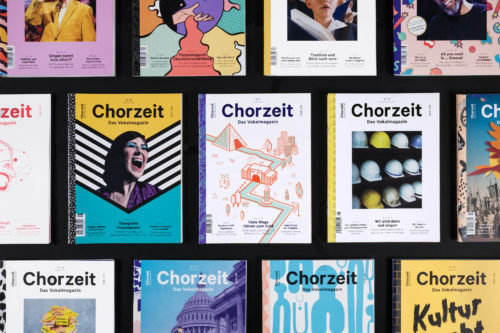 As well as producing a small online presence for Chorzeit, we also helped the Choir’s Association recruit an editorial designer to their team to produce the monthly editions to our specifications. 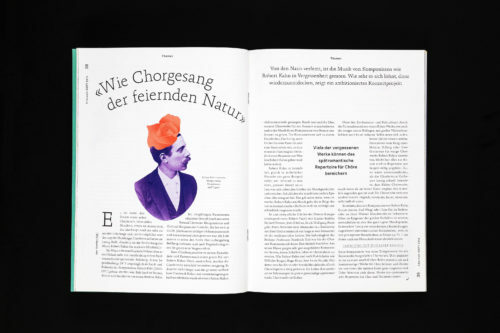 The Deutscher Chorverband were ready to make a bold move into publishing, but lacked in-house expertise in the field of editorial design. 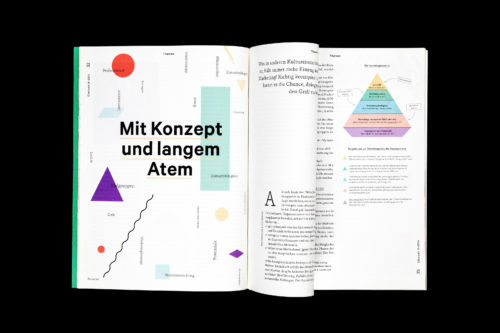 We created a planning framework to help the client structure their ideas, and designed a brand new magazine as the public face of a previously inconspicuous organising body. Where the music resides. 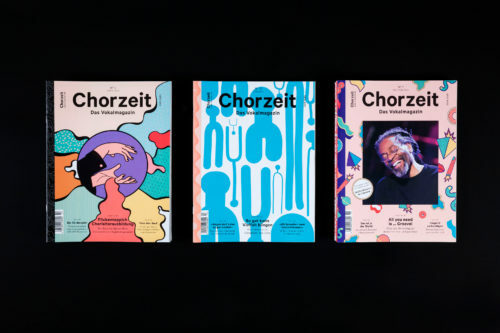 Branding and exhibition design for the house of composer Heinrich Schutz. The most perfect instrument of all. A visual identity explores the silence between the notes.